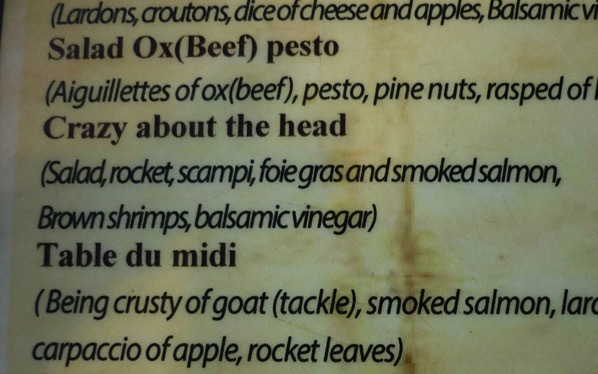 I hate to imagine what a “crusty tackle of goat” even looks like let alone taste it! But it isn’t only the names of the dishes imagine trying to tackle the ingredients of the “Crazy about the head” dish, scampi, foie gras and smoked salmon, just reading what’s in it make me put on five pounds! Even though I have eaten my way around Belgium from time to time, it’s not a dish I have come across before and frankly want to avoid for the rest of my natural, thank you very much!